The cuisine that the Kalinago people brought to the Caribbean has left an indelible mark on the cultural landscapes of the region. Whether one speaks of methods of preservation such as smoking or roasting, cassava bread, farine or dukuna production, all evoke the mythical twist which any Kalinago delicacy is sure to evoke. When the Kalinagos arrived in the Caribbean, the islands were blessed with an abundance of wildlife which provided the first settlers with a very reliable source of food. The natives gathered wild fruits and berries, but also cultivated crops that they brought to the region such as sweet potato, manioc, yams and arrowroot. Wildlife such as the opossum, agouti and iguana were hunted in the nearby forests while the rivers and coastal shores of the islands supplied an abundance of fresh fish and other marine life such as crayfish, crabs and oysters. The concept of eating fresh was well rooted throughout all Kalinago societies as every meal was punctuated with fresh produce. 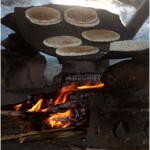 The primary means of food preservation were mainly smoking, drying and roasting. This emphasized the point that there was little need for storage or preservation. On a daily basis the women would obtain the fresh foods from the nearby garden while the men went hunting and fishing. Every meal was always cooked fresh directly from the source. 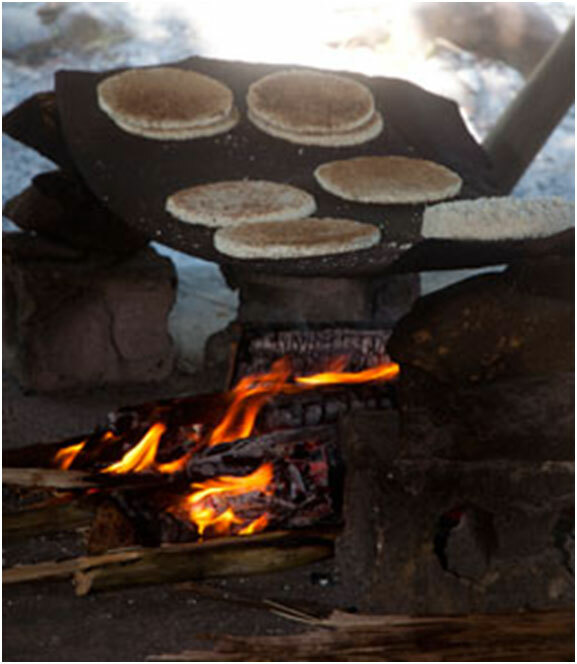 Today, visitors to the Kalinago community have this rare opportunity to sample some of these exquisite Kalinago delicacies such as the dukuna, farine balls and cassava bread from the manioc tuber or the tantalizing sumptuous roasted red fish in coconut cream, just as they were prepared more than five hundred years ago.